As we got closer to Sydney and the Opening ceremony date of 15 Sept, the crowd grew and grew. Some days were out of control with crowds swamping the roads and extra police called in to allow us to keep moving forward and on time. 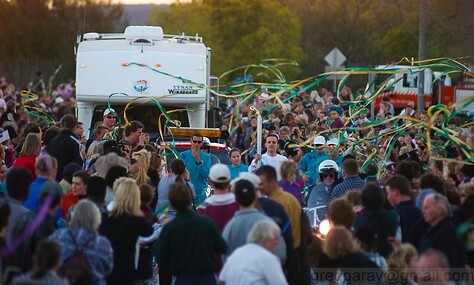 And as we got into these bigger crowds I tended to stay more within the safe confines of the media motorhome. This was for a number of reasons. 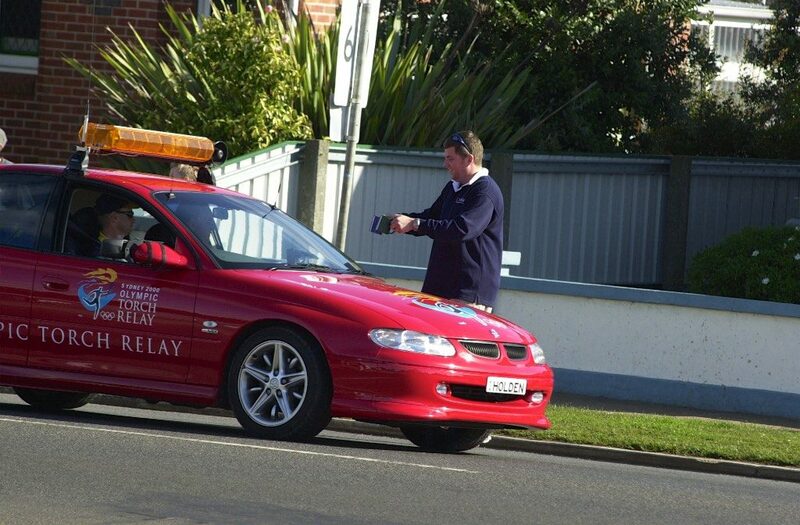 In the early days of the relay I could shoot most of the day then drive ahead to the hotel to connect to a phone line and email 4 or 5 images out to newspapers and news agencies. But now newspapers were demanding more images and more frequently as they published multiple editions of their papers. 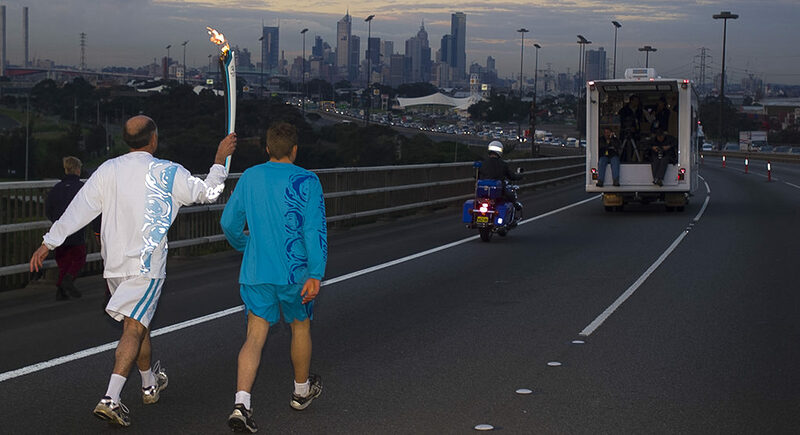 And higher numbers of famous and noteworthy Torchbearers were running though out the day. It was impossible to leave the relay to get to a hotel and back again without missing too much of the important action. 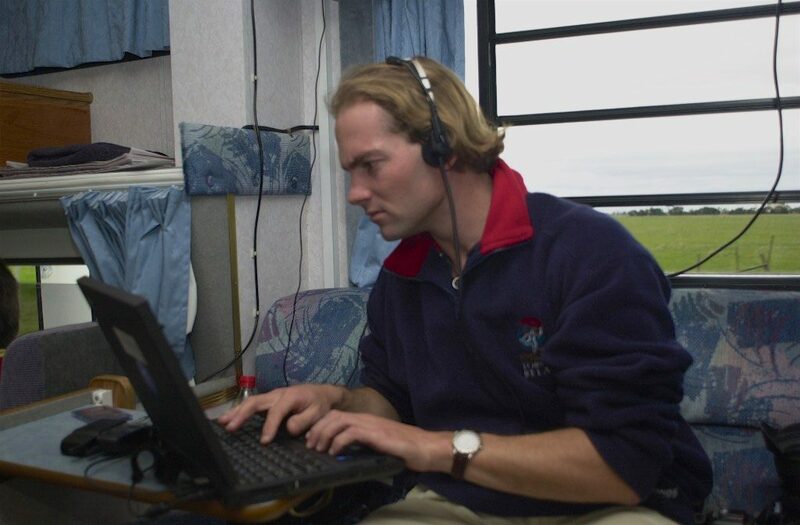 So I had my lumbering laptop and mobile phone connection set up in the media motorhome permanently and spent the whole day running back to it every 30 minutes to try and send another image. It was always a frustrating experience trying to connect via mobile phone at 9.6k or slower and being kicked off the network at 90% of the upload and then having to start agin for zero – but that was what was required. The main objective of my role was to help generate media interest in the event. I was succeeding in that – but feeding the beast was an exhausting exercise. 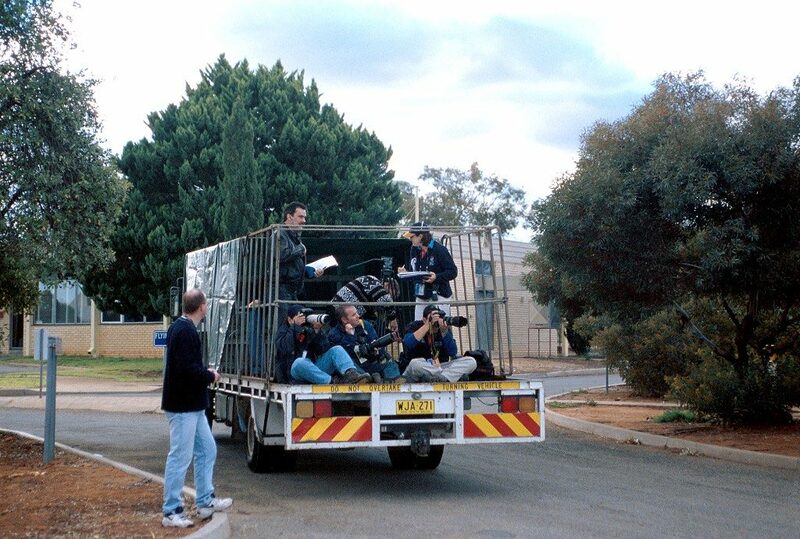 The main media home for the 100 days around Australia was relatively comfortable. It was weather proof and had power. We were the envy of the convoy - being the only vehicle that could make their own coffee! 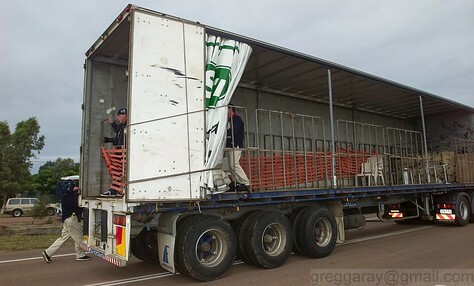 A Semi trailer for built for 4!